"My dear friend Eleanor. We had such good times together in..."
"I have warm memories of Eleanor singing with her sister..."
"Eleanor was a beautiful singer in my choir, Belle Cantori,..."
Eleanor Pifer-Pallay, born October 10, 1944 to Thelma and Harvey Pifer in Eugene, OR, passed away unexpectedly in Houston, TX on March 11, 2019. She was a retired realtor, mother, and grandmother. Eleanor grew up in Battle Ground, WA and later graduated with a Bachelor’s degree from Columbia Union College in Takoma Park, MD in 1968. After college, Eleanor lived in Maryland and West Virginia where she raised 3 sons: Todd, Michael and Joshua Pallay. She returned to the PNW in 1987 and worked in real estate until retirement. Eleanor enjoyed traveling, family, singing with her sisters and in church choirs. She cared for her mother and father for many years before their passing. She kept busy with various work and hobbies after retirement with family and friends. 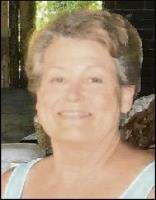 Eleanor is survived by 3 sons, 6 grandchildren, and 3 sisters, Ina Tichenor, Suzie Myers, Caroline Hansen. She was preceded in death by her parents; and brother, Cliff Pifer. Memorial service will be held at Meadow Glade Seventh-Day Adventist Church at 11001 NE 189th St., Battle Ground, WA 98604 on April 28, 2019 at 2PM.